This could be my most important Blog post ever! Dramatic much?....Yes! But who cares, I have huge news. After 10 years of going hard in this hobby I've secured a job in the industry! If you know me personally you might know that I've been miserable in my professional life. Don't get me wrong, life is good. I have a beautiful home, beautiful wife, and 2 beautiful kids. I even own and operate a Mobile DJ company that literally affords me the opportunity to party every weekend. It's that 9-5 grind that's been a burden of the last decade. Basically the only reason I've stayed so long is to pay the bills, but it finally took it's toll on me. It's very difficult to try and fake being happy for 40 hours a week for 10 years. 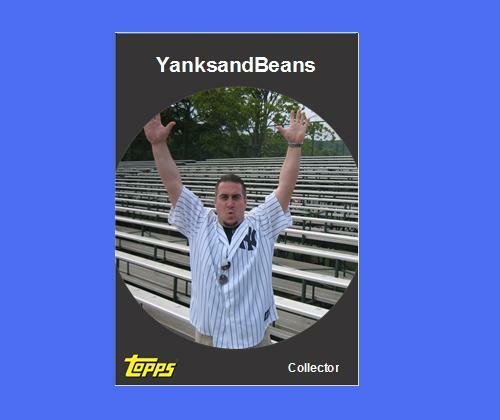 So I took a quick look just to see what else was out there, and long story short folks....Starting Monday I will be working as an Account Rep for a major Sportscard/Fantasy/Toy distributor and I am beyond excited about it. During my recent interview I visited one of the main offices in Boston. It was like my own personal Disney land. Their warehouse reminded my of Costco...If Costco shelves were stocked purely with Cards, toys and games. I was even told that part of my responsibility would be to visit upwards of 60 hobby shops a year........What was that? Exqueese me? Baking powder? You're going to pay me to visit shops???? Sign me up! Here's my signature in blood if you need it. My hectic life has really taken me away from my passion/hobby recently and now I'll literally be surrounded by it daily. I'm hoping this will give me more time to post, blog and research the hobby which I love so much. Maybe that 9-5 won't feel like such a grind anymore. Congratulations! I'll live vicariously through your blog posts. This is the best! Pumped for you!